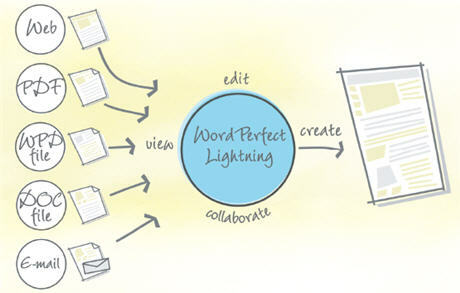 Corel today released a digital note-taking software called "Corel WordPerfect Lightning" combines several utilities into one neat application - it is a word-processor compatible with Microsoft Word documents, it can do screen captures and you can read PDF files like Acrobat Reader. Corel WP Lightning can also be used for web-research or taking notes just like Google Notebook or Firefox Scrapbook or Microsoft Onfolio. The software can capture text notes, snippets and images from email messages or even web pages. You also get a free online account with 200 MB storage to store your Corel Notes and access them from other computer terminals. The software works outside your web browser and doesn't require an active internet connection.